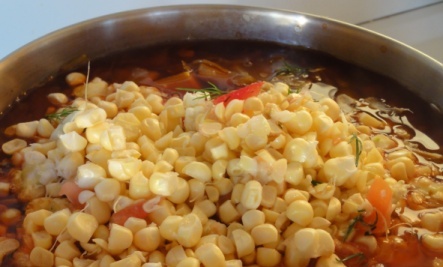 This is a traditional soup in Ukraine; many people from that country landed in my home city of Edmonton. This is my vegan version with just a few adjustments to the ingredient list. 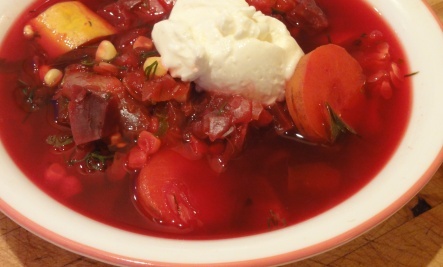 There is one ingredient that makes this borscht special; that is fresh dill and lots of it. 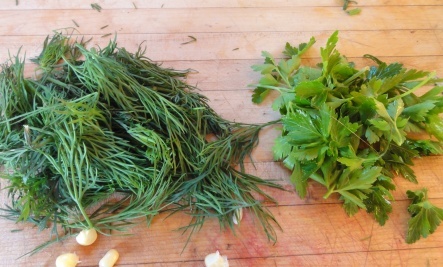 I garnish the soup with fresh dill at the end. The taste of sweet beets and dill is so delightful. Complete written directions also at bottom. 1 Cup white Beans,soaked the Night before.Rinse Beans off add Beef, 4 Tomatoes(not canned ones) about 1 Liter(4cups) of Water,Salt,fresh grind Pepper,2 whole diced up Onions,fresh Garlic if you prefer,bring to a boil,lower Temperature and cook for about an 1 Hour.Meanwhile cut 4 Potatoes,2 Carrots ,2 red Beets . Add Vegetable and 1 Cup of fresh Sauerkraut to the Meat and Beans(after 1 Hr) cook for another Hour.Use Pepper,Salt,Nutmeg,a little bit Cinamon,fresh Parsley, to taste. Cool off and serve, keeps fresh for up to 2 weeks.Borchtsch taste better after a few days. Randy & Diana thanks again for the inspiration. 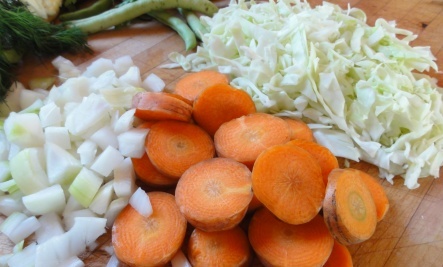 eating the right foods often means having the imagination and know how to change the routine. Pierrette & I and our whole Thee Quest team are always anxious to see what you are going to come up with next. We know you really believe in health. 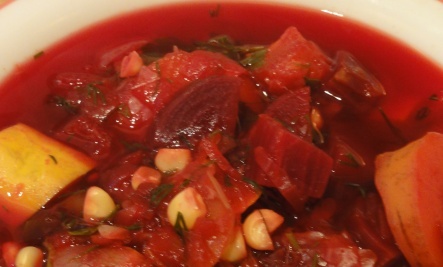 i LOVE borscht — unfortunately beets don’t like me. but i do have fond memories of eating borscht at this wonderful russian restaurant we used to go to in berkeley, ca. Fine – good – but try to respect the recipe! There has never been and can never be squash, zucchini or (horror!) 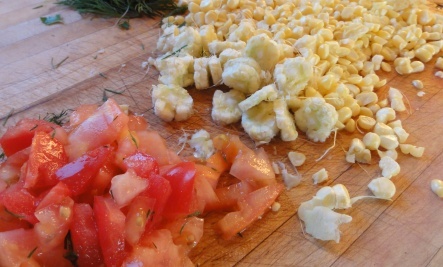 corn in Bortstch! It is a great soup, but please, a little respect! 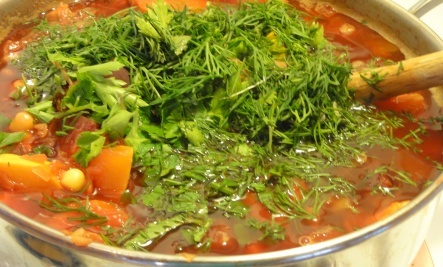 The recipe described above looks like a very good vegetable soup, but it is NOT Borsch! Call it a beetroot soup, veggie delight, etc., but do NOT call it Borsch – a fatty soup based on beef bullion and originally, in Ukrain, was also seasoned with pig’s fat. I agree with Mary. 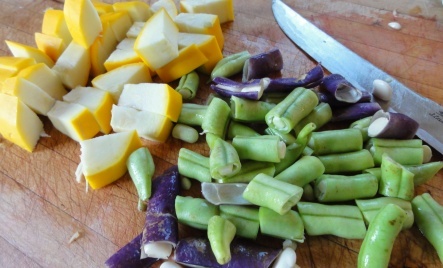 Many vegetables can be added to borscht; my Ukrainian relatives and friends often use green or yellow beans and peas, but I never saw any type of squash or corn. Please remember the BAY LEAF! 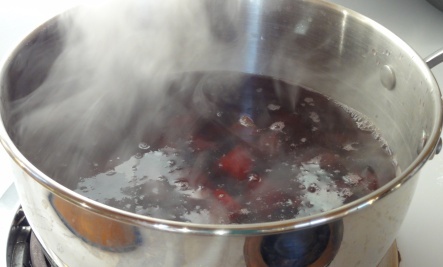 Bay leaves & dill give borscht its distinctive flavour (besides the beets of course). 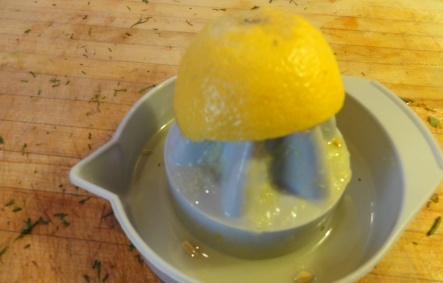 We also use vinegar rather than lemon juice. And for those who don’t like sour cream, sweet cream stirred in will do. Yes, you can. Giving credit to the author and links back work. Thank you for reintroducing me to beets! 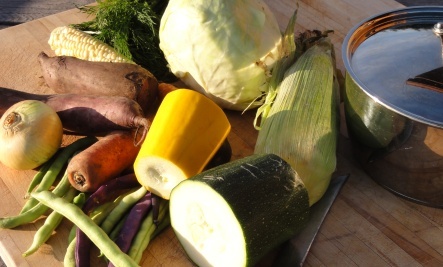 I tried this recipe because I love vegetables, EXCEPT for beets. But I found both my energy level and disposition improved each time I ate a bowl! This soup, and beets in general, have now become a regular part of my diet. This is a very good soup, but it has nothing to do with Russian borsh… Only one ingredient is beets is correct, but it is never cut this way. 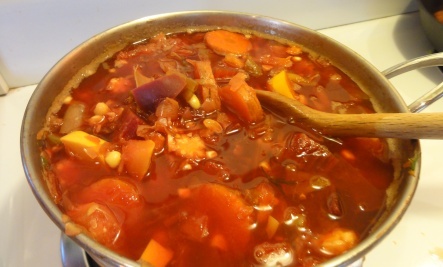 So with all due respect this soup is absolutely can’t be called borsh it just a beet soup…. I know beets are a great detox expecially for the liver. I have had beet juice for years and sometimes it gets me a little dizzy. 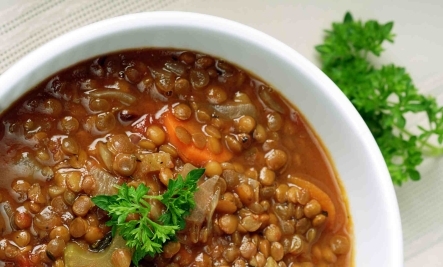 I am going to try your borsh – it reads very tasty. Thanks. I purchase beet juice in bottles from Health food stores. Is any of the nutrition lost in the process of making and storing the juice in bottles? Fresh beet juice is the healthiest and even best to drink within 30 minutes. 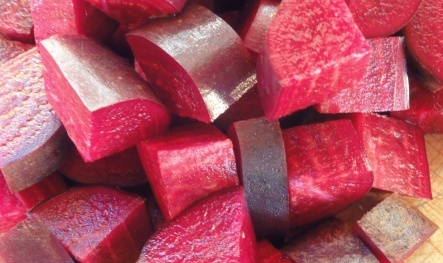 If you are cooking beets as in this recipe, some of the nutrients are lost but there are still nutrients left.